We’re totally spoilt for choice in the 3 Valleys with so many mountain restaurants to choose from. As dedicated foodies here at Ski Talini we would definitely favour deciding on your lunch stop and planning your skiing around it! Its quality over quantity for us – and our guests – when it comes to fueling up. The hardest thing is often deciding which of the many restaurants to pick on a week’s ski holiday. So we’ve put together a guide of the best restaurants in the 3 Valleys. Including those we like to frequent and recommend to our chalet guests. But if you’re searching for a more civilised and relaxing meal, then read on. 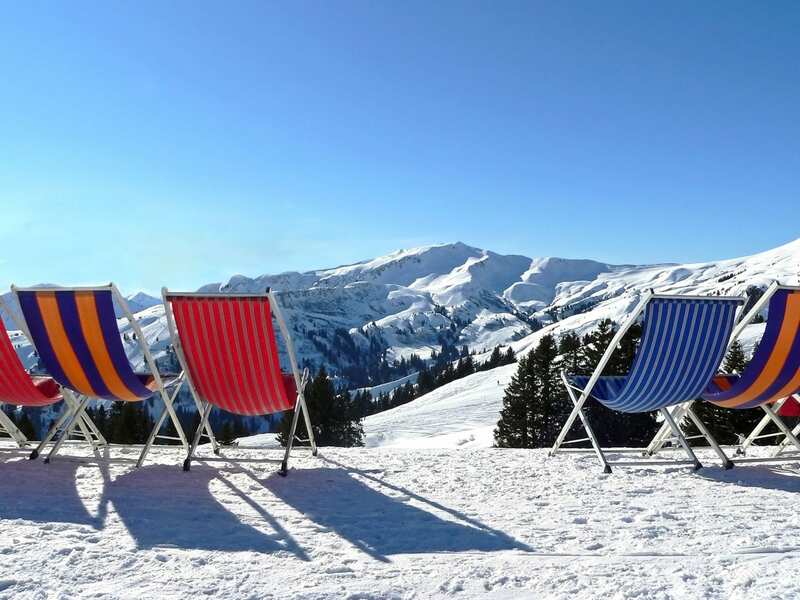 Deckchairs in the sun are a highlight of any ski holiday! This relatively new restaurant has proved very popular. Either opt for white table clothes and posh nosh in the restaurant upstairs or something from the good value snack bar downstairs. Le Plan des Mains is extremely well located at the base of Mont Vallon with unbeatable access to the Three Valleys. Located at the top of Le Lapin run to Méribel Village, Le Blanchot is a pretty chalet-style restaurant with a great sun terrace. It serves elegant French food and is a great lunch spot for beginners. Don your straw hat (supplied!) and enjoy a long rosé lunch! Famed for après-ski, with music and DJs on the terrace, as a lunch spot The Rond Point offers simple and decent value pub grub. The snack bar has burgers, noodles and the infamous ‘American’ sandwich. If you stay for après, don’t miss the last ski lift home! We love this fabulous little Michelin 2* restaurant which is ideal for a cosy indoor lunch, or dine al fresco and make the most of the views. This delightful family-run restaurant serves fabulous food at reasonable (for the quality!) prices, and with less of a fanfare than at the 3 Michelin star La Bouitte. An unexpected nautical-themed restaurant in the lofty heights above Val Thorens! Gorgeous terrace, delicious food from an extensive menu and the friendly staff make this a popular option. They only take bookings on a daily basis so be sure to decide early if you are going to dine at 2500m! There’s a more formal restaurant as well as a self-service Bistro with meals around the 15€ mark. La Marine is located on the Dalles piste off the top of the Cascades chairlift. Not only does Chez Pepe Nicolas have friendly staff, a fab terrace, beautiful views, and quirky décor, it also showcases the local food – cooked simply but elegantly. The cheeses are made on site during the summer months, when you can visit the restaurant and shop, meet the animals, milk the goats and enjoy an ice cream! The ski access is via Les Bruyères piste from Les Menuires or La Pluiviomètre from Val Thorens. Expect warm and friendly service and great mountain food at this cute little mountain restaurant. Just above the St Martin Express on the Biolay piste, the huge south-facing terrace makes for a cracking spot for lunch. Another benefit is that you ski the Jerusalem piste to get there! It’s a favourite with Ski Talini guests who stop for a vin chaud or refreshing beer before the short ski back to the village. 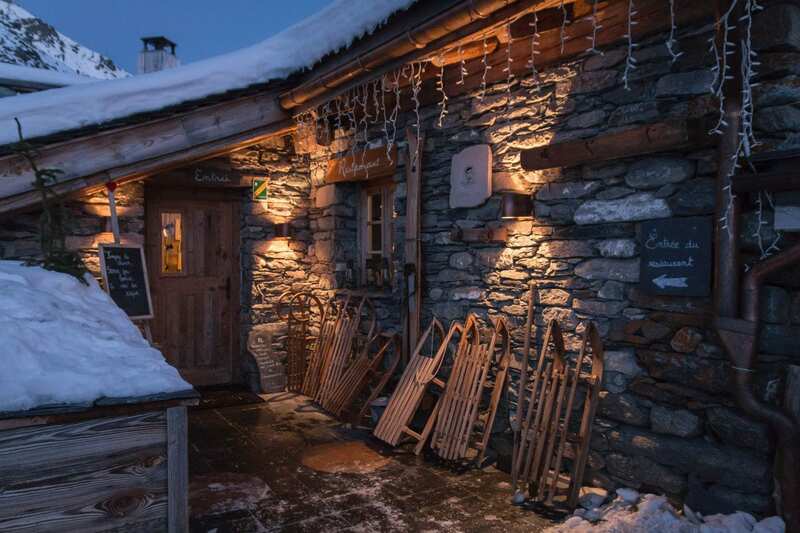 Located in Reberty 2000, La Ferme has a welcoming interior which opens onto a large terrace on the slopes and has extensive lunch and dinner menus. Though this one of the top three places in Les Menuires, the fixed-price menu can be relatively affordable at about €30 for 3 courses, or for a bargain, try the hearty French onion soup. 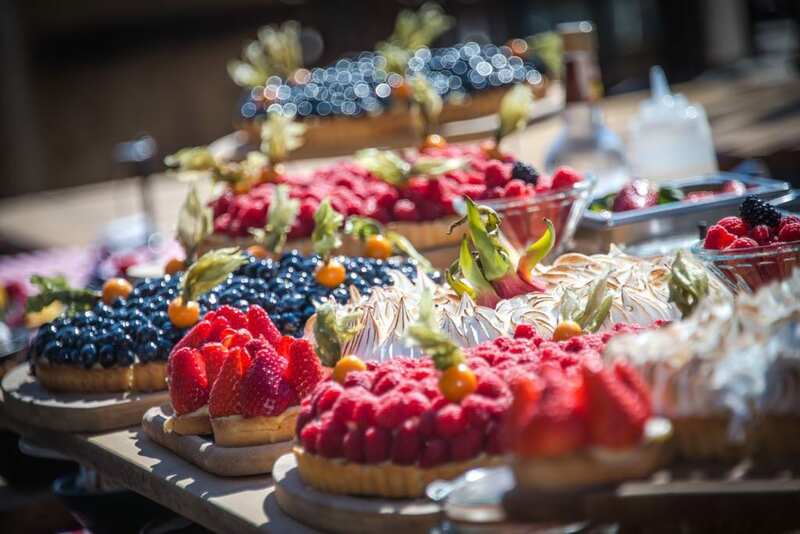 Renowned as one of Courchevel’s best restaurants for decent value and friendly service, Le Bel Air has a great sun terrace facing out onto the piste aligned with plenty of deck chairs in which to relax. The food is simple and tasty. Try the plat du jour which is good value. Reservations are essential, as it gets very booked up on sunny days. Access it from the Ariondaz piste. Found at the top of the La Tania gondola this efficiently-run restaurant with a gorgeous terrace offers HUGE omelettes, salads and a reliably good plat du jour, all at very reasonable prices. After something speedy? Try the snack bar. It’s well worth a visit to Le Bouc Blanc, if only for a hot drink or a plate of frites. If you’re into celeb spotting then Kate and William dined here. And what’s good enough for the royals is good enough for us! Ski the undulating blue run into Courchevel Moriond 1650 and the Portetta hotel is at the bottom on your right, just below the drag lift. Famous British chef Angela Hartnett has designed the menu which celebrates local food and adds her signature Italian twist. Expect sumptuous homemade pasta and meat cooked on the open fire. If you’re on a budget there are tasty and authentic pizzas served on the gorgeous ‘Fire and Ice’ terrace which you can nibble on whilst happily installed on a huge sofa and wrapped in a decadent fur blanket. If you ski down Park City from Saulire then you’ll find this swanky restaurant just on the Cave des Creux piste. It’s beautifully designed with plenty of terrace space and gorgeous mountain views. The menu is on the pricey side but is good if you fancy something less traditionally ‘mountainy’. That said, the Beaufort tart is excellent and generously portioned! Don’t forget to leave room to accommodate something from the eye-catching dessert buffet… Their café gourmand is particularly good! Anything we’ve missed? Do let us know if you have a favourite to add to the list. Or contact us if you have any questions or would like us to book you a table!